Discover how to run your business profitably with this specially written e-book. Easy to understand information, no technical jargon! 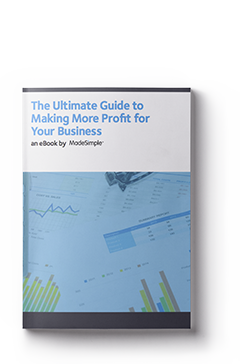 How to Make a Profit Guide - a detailed e-book to help you focus on your profit improvement strategy. How will I get the guide? The guide is provided electronically, as a PDF document for your convenience. There will be a link in the purchase confirmation email for you to download the guide. If you can’t find the email, please contact us. Do you offer any other business guides? Yes! We have created a Tax and Financial Strategies Guide and a MadeSimple Marketing Essentials Guides Pack. We also offer a number of free guides and resources that you will find here.